A revolutionary new way to sell cordless phones deserves a revolutionary package design. How do you make everyone in your household happy with a phone that fits their style and taste? Siemens wanted to provide consumers with a choice. We provided the solution: A family pack with styling to meet the tastes of anyone in the house, but with a single base station that could be hidden to free up counter space and eliminate the long, ugly cords that came with other phone bases. 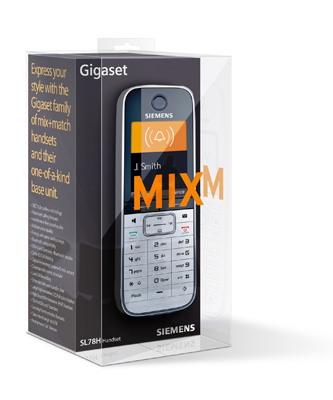 Gigaset MIX was born. 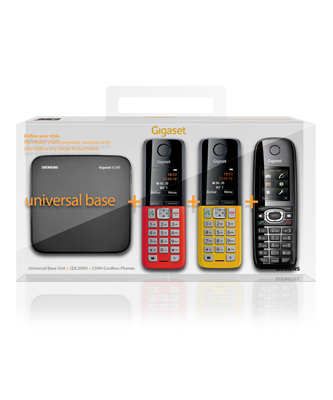 Now, consumer could “Mix & Match” any Gigaset cordless handset to their individual style from a single base station. The challeng was, how do you communicate this best at point of sale? And how do you show the tasteful styling and high tech features of these unique phones? Crystal clear packaging, in singles or family packs, presented in an engaging POP display. Not only did we discover that consumers were open to a new, more personal way to purchase consumer electronics, they were also willing to pay a premium to get the exact system they wanted. 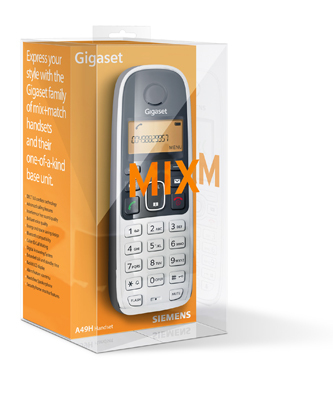 The Gigaset MIX proved to be a concept which reinvented a category that had remained unchanged for decades – driven by the power of a great idea and packaging that made purchasing simpler for consumers.